All week long, Mortal Kombat 11 fans have been counting down to today’s big community event, where we got a closer look at the forthcoming brawling sequel. But one big factor that’s been teased from a few days ago just got confirmed. The game is going to get some serious muscle. 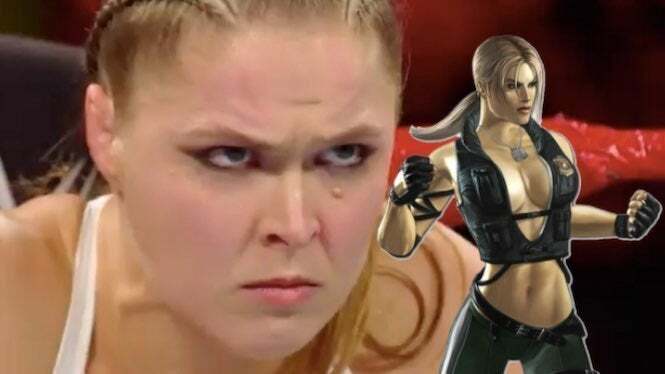 Ronda Rousey, who’s currently the Raw women’s champion for World Wrestling Entertainment following years of battling in the UFC’s Octagon, was confirmed to play Sonya Blade in the upcoming sequel. She took the stage during today’s presentation and voiced her support for the role. Rousey did motion capture and voiceover work for the role, and based on what we’ve seen thus far, she’s fit into the role quite nicely. Fans will no doubt have a lot to say about this casting decision, as Mortal Kombat 11 continues to ramp up on star power. But this does create some interesting crossover potential between the brand and WWE, possibly to the point that the fighting game could sponsor an event. That hasn’t been confirmed just yet, but we’ll let you know if we hear anything official. For now, however, Rousey must be psyched to be included in the game; and her portrayal of Sonya Blade will no doubt bring a number of new fans to it, if only to see how well she performs signature moves. Wait...is she going to have the Kiss of Death?